Updated and remodeled Two story in Rock Creek. Two story vaulted entry with all hardwood floors throughout most of the main level. Tile floors in the bathrooms. Dining room or formal living flows into the kitchen with granite counters, all stainless appliances and kitchen island open to the family room with gas fireplace. Step out from the kitchen to the deck and enjoy the beautifully landscaped back yard. Upstairs features newer carpet, 3 bedrooms plus a loft that can work as an office and updated bathrooms. Finished walk out basement with 4th bedroom, unfinished storage area and rough plumbing to add a 4th bath. Step out from the basement to the paver patio and savor the outdoors. Patio at rear of property has a capped sprinkler line and can be converted back to a garden area. 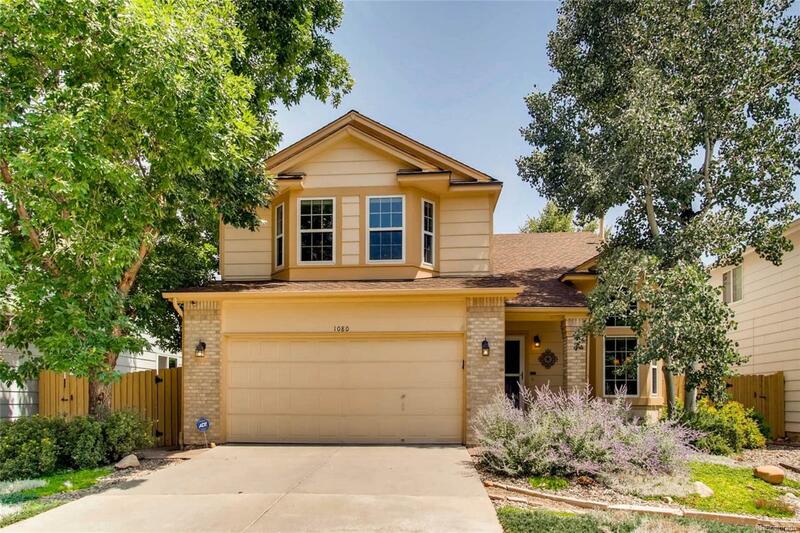 Highly rated Boulder Valley Schools within walking distance. Desirable Rock Creek community with pools and trails. So many more features that you must come and see to appreciate!